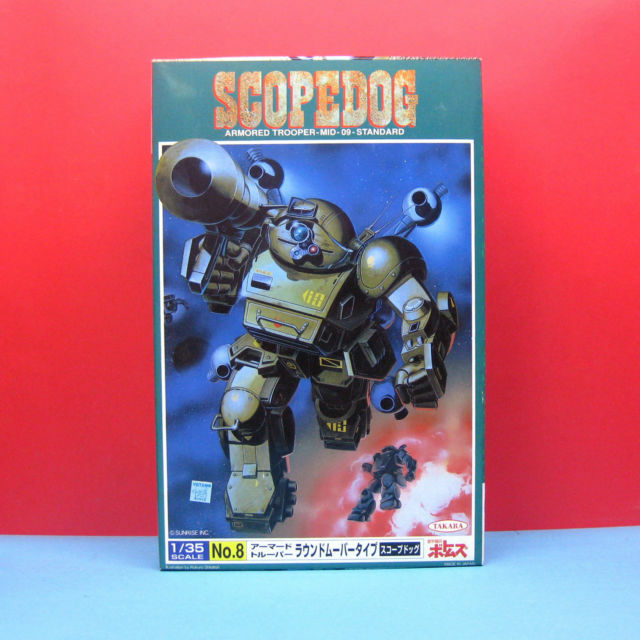 1.60th Diecast poseable figure with snap on accessories + stickers. 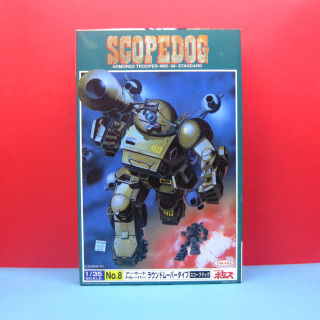 Product Name: Scopedog Armored Trooper Mid-90 Standard "No.1"
1:35th scale. IP. 7"Tall. No 3 in series. 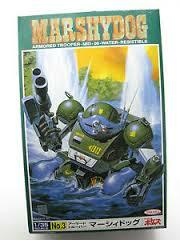 Armoured Trooper - Mid-09 Water Resistable Marshydog. 1:35th scale. IP. 7"Tall. No 4 in series. Armoured Trooper - Heavy 14 Standard Tortoise. 1:35th scale. IP. 7"Tall. No 5 in series. 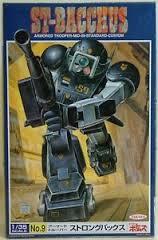 Armoured Trooper- Heavy Water Proof Custom. SN Turtle. 1:35th scale. IP. 7" Tall. No 6 in series. 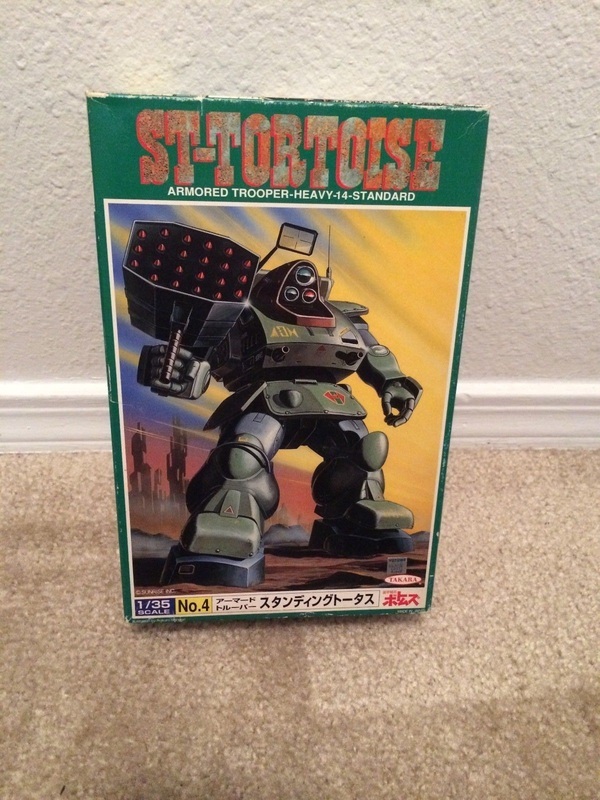 Armoured Trooper Heavy Quaint-64. Berserga. 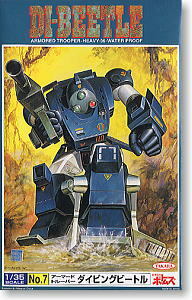 1:35th scale. IP. 7" Tall. No 7 in series. 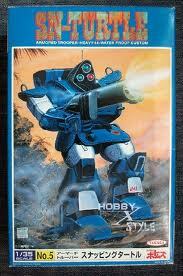 Armoured Trooper -Heavy-06-Water Proof DI-Beetle. 1:35th scale. IP. 7" Tall. No 8 in series. 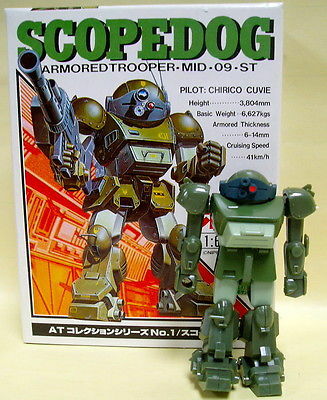 Armoured Trooper - Mid-09- Standard Scopedog. 1:35th scale. IP. 7" Tall. No 9 in series. 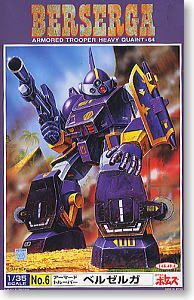 Armoured Trooper - Mid-09-Standard Custom Bacchus.